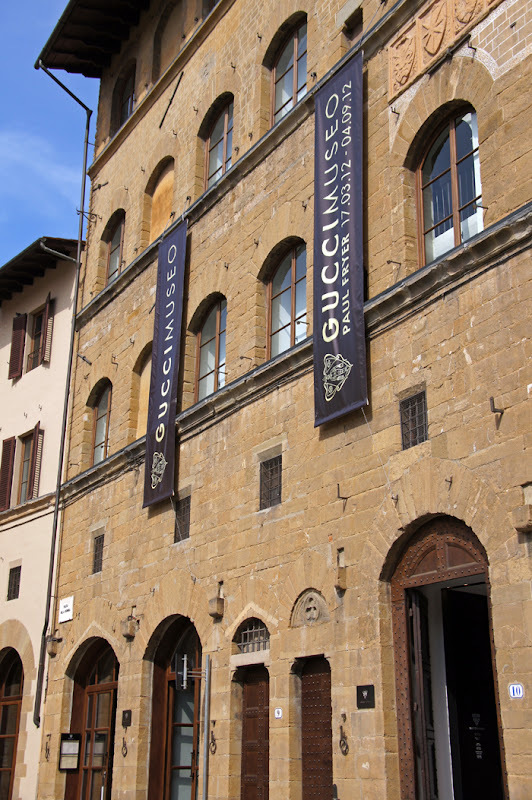 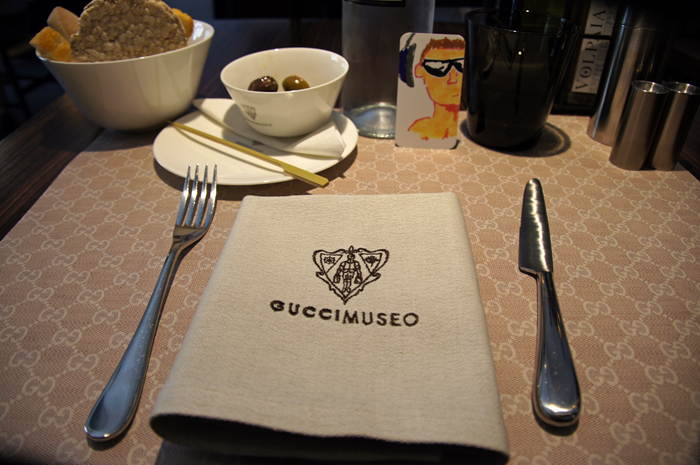 The Male Model Music Project stopped for a quick lunch break at Gucci Museo Café & Restaurant in Florence. 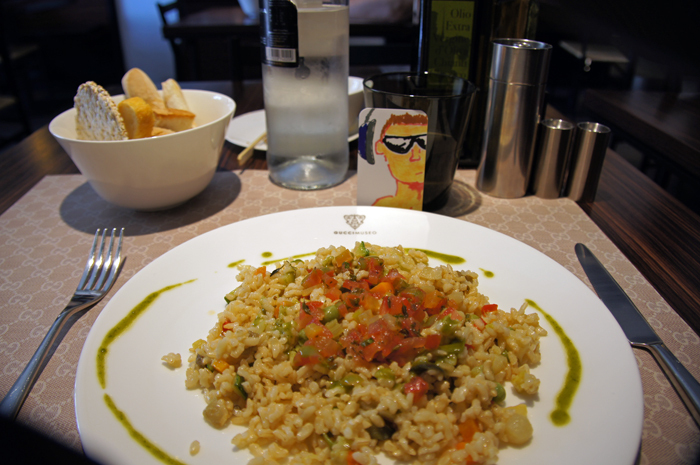 Cold brown risotto with seasonal vegetables and basil pesto. 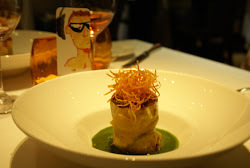 Fragola e Pesca. 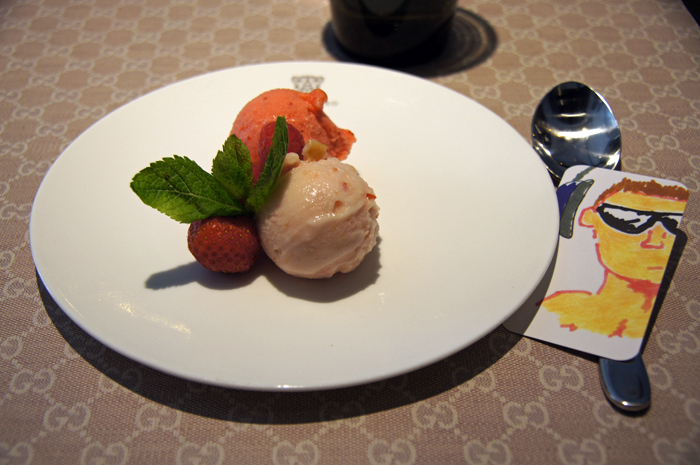 Homemade peach & strawberry gelato.